Points for trying to make a one-liner. Let’s hope the technician can explain why you mega hands aren’t there. Probably some subsystems ether Pivot can’t access without outside expertise. Sorta like how humans have a subconsciousness. Wait, is she like Axl from Megaman X? 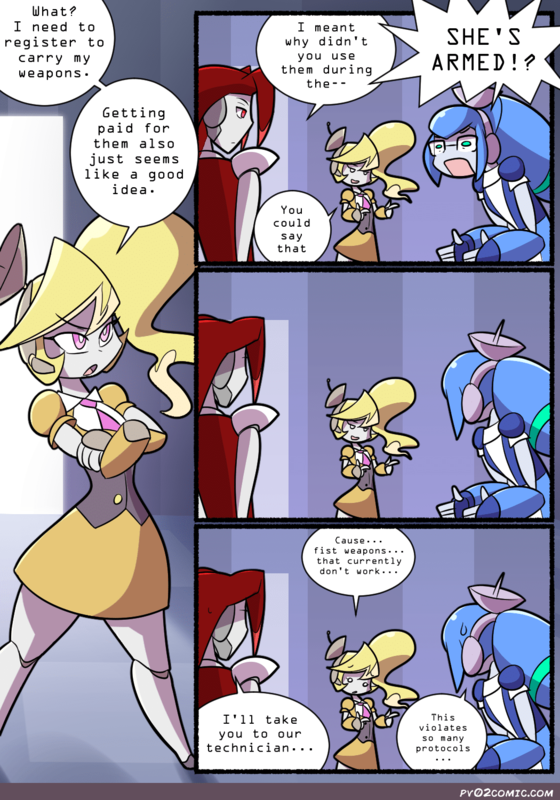 In that for a short time, she copies another robot’s abilities?